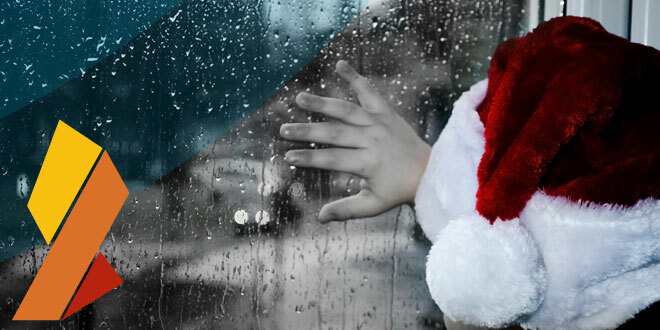 The holiday season is upon us and soon free IGNIS tokens will rain down into your Nxt accounts! 500M IGNIS tokens will be airdropped on NXT coin holders at the New Year! Jelurida takes a snapshot of all NXT accounts with everything in them, including the NXT you hold, your registered aliases, account properties, your NxtAE (asset exchange) portfolio, Marketplace items, Monetary System coins, etc. The state of the blockchain. Your NXT balance @ the snapshot block determines how much IGNIS you will get: 1 IGNIS per 2 NXT. With the snapshot block, some coins and trading markets will be temporarily frozen. These tokens will, temporarily, become untradeable: ARDR (the Nxt asset which represents ARDR tokens on the Ardor blockchain platform), JLRDA (which represents the IGNIS tokens sold during the ICO), Janus (which will be re-issued on IGNIS/Ardor), and also BITSWIFT, which will be reborn as an Ardor child chain, along with Ignis, with the Ardor Genesis block. The Ardor platform and its first child chains will launch on 1/1-2018 0:00 ETC. From that moment, when the Genesis Block is forged, the markets for the beforementioned tokens are open again. For every 1 NXT you have in your Nxt account on Dec 28, at the time of the snapshot, you will find an additional 0.5 IGNIS, on the Ardor blockchain. You can already log in to the Ardor testnet with you current Nxt account ID and see how it works. Also, 10% of the BITSWIFT child chain tokens will be distributed to IGNIS holders. Not because of the JPL license, but because Bitswift has decided to reward the Nxt and Ignis community, with an extra Xmas gift to holders! IGNIS is the transactional token of the unrestricted open to all blockchain 2.0 Ignis child chain, spawned from Ardor, the scalable disruptive platform that Jean-Luc, Nxt lead developer since 2013, and Jelurida, have created. Those that listened know that the Nxt platform will not become obsolete but will be taken care of, as a perfect showcase for Jelurida and a still relevant featureful public blockchain, under the JPL license. The JPL (Jelurida Public License) aims to protect investors in the NXT token, while at the same time keeping the core code open source. According to the JPL, any clone of Nxt must distribute 10% of the newly issued tokens among NXT holders, proportionally according to their stake in NXT. [With JPL], unlike the GPL, in addition to the copyright owner (Jelurida) any token holder can initiate a claim, because he has incurred a loss. It will also be much more straightforward to demonstrate the total monetary value of such losses, as 10% of the marketcap of the infringing clone. IGNIS inherits all the features of NXT. Plus more. Much more. Ignis is spawned from Ardor. The Ardor server software can run on a mobile phone, a Raspberry Pi or a VPS, and anyone with ARDR can earn fees from forging ChildBlocks (blocks of bundled transactions made on Ignis and other Ardor child chains). Forging is Nxt and Ardor PoS’s equivalent to PoW “mining” and secures the full Ardor network. Other ways to support and monetize the network is (currently) Bundling or running Archival Nodes. Child chain transactions are not forged on the child chain but are bundled and sent in blocks to the Ardor parent chain, which forges, files, and secures them. Anyone can become a Bundler, and bundle child chain transactions. It takes ARDR to be a Bundler, because the Bundler must transfer ChildBlocks (those consisting of bundled child chain transactions) to the Ardor parent chain. 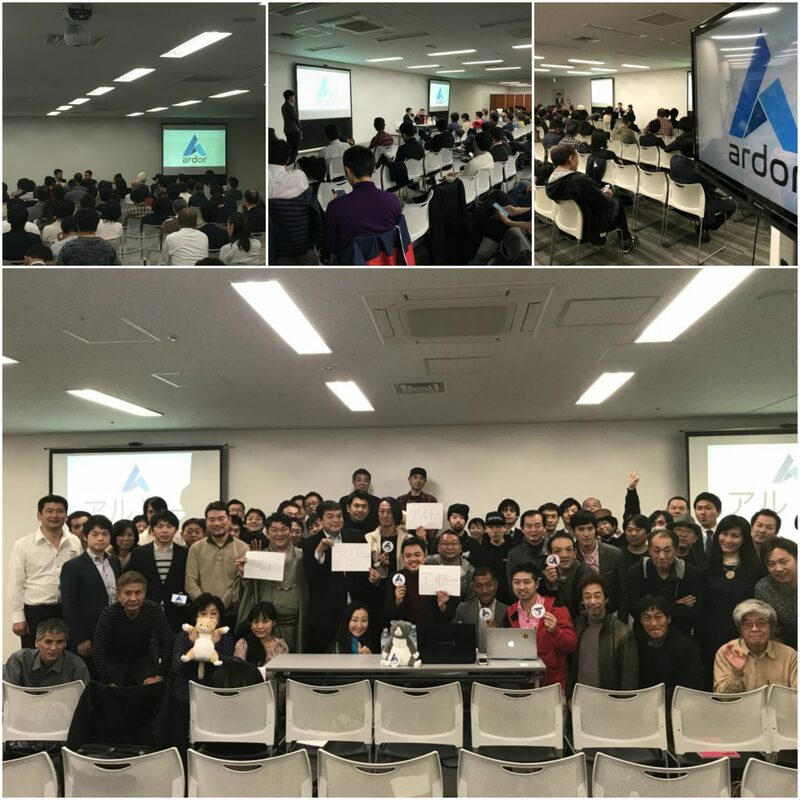 Ardor only accepts ARDR. Bundlers are paid in child chain tokens for their service. They set their own fee. Archival Nodes expand the default network when it comes to storing data on the blockchain. Messages sent between accounts as well as other kinds of encrypted or public data uploaded to the network are “pruned” from child chains. Only hashes are stored, which makes the child chains scalable – unnecessary bloat is removed at regular intervals. Archival Nodes, on the other hand, store pieces of data, so they can be dug up and used. Thus, Archival Nodes provide a distributed data storage network to Ardor’s blockchain ecosystem – which, of course, also can be monetized. This is already built into the platform. The first archival node service provider will be Jelurida, but competition is welcomed. IGNIS lives on and communicates with this full network. It’s part of a scalable platform; Ardor, the advanced EXISTING BaaS platform, which allows transactions to be sent across the full network of child chains, globally. For example, an asset that is issued on Ignis will become instantly tradeable on all child chains that support the AE. Be they business token child chains or simple gateway child chains with tokens pegged to other cryptocurrencies or a bank/government-backed fiat coin, like DKK, EUR, USD, YAN, which you can deposit/withdraw directly to your bank account. On top of this, Asset tokens can be issued with their own unique rules set and specified- like, if they can be traded by all, or only by selected accounts, pre-approved by the issuer of the asset, or tagged in the blockchain as KYC/AML/CTF compliant accounts. Also, Ignis currency tokens (MS-coins) can be traded between child chains. Whatever you do, you can scale it. Whatever you do, it is in your control, finally. I think that the Nxter Magazine should soon begin talking about use cases. Or about building commercial applications on the public blockchain. Maybe we could even run a contest! Describe a use case that solves a problem for you, and win! One of the most important aspects of Ignis is what it offers to the developer; e.g. businesses, local societies and even to national governments. All the advanced basics of connecting your use case to the blockchain are covered. Tested, reviewed and approved in the wild, Ignis (and the NXT and Ardor platforms) offers working executable secure inbuilt smart contracts, that developers can combine into the use cases he/she/the customer wants, as easy as with Lego bricks, with the API. Right off the bat, Ardor is a well-prepared infrastructure of an entire economic system, with all its twists and turns, an infrastructure built on the blockchain, which is ready to go global on January 1st. The child chain infrastructure seemed to solve all of the problems we were looking at, blockchain bloat, reducing fees, fast confirmations, everything we want it comes with to start building on. Our rewards network is built on top of this blockchain technology which ensures stability, reliability and transparency, while maintaining exceptional performance. [Our] learners will buy training content with crypto and consume the content. We’re developing a cryptocurrency to be deployed as an ARDR child chain that will provide a financial incentive to learning. There are quizzes throughout the content so you can prove you learned the material. When you answer the quizzes correctly, 30% of your purchase price is returned to you. In addition, everything you learn is stored in the blockchain so we will maintain a lifelong record of learning for you. When you interview for a job, you’ll be able to show the interviewer everything you’ve learned. The transcript will of course be private only for you and shared with the people you choose. The value of our cryptocurrency will be pegged to ARDR on a 1-to-1 basis. The initial launch will be with 50M of the new cryptocurrency paid for with 50M ARDR. The currency will be redeemable on a 1-to-1 basis for ARDR so it has value out of the gate. I’m hoping this changes education worldwide, providing greater access to quality content and adding competition and the principles of the free market economy to education at all levels. As we talk on a daily basis with Jelurida (…) at the moment I am 100% sure about doing the following “proof of concepts”. I can speak about my plans but I don’t like to reveal any partners before the ink is dry ;). Doing my research for several months I switched all my developing plans first from Ethereum to Ethereum Classic and finally decided to fully go on Nxt and later Ardor for my plans regarding setting up new ecosystems. I also decided to work with Ardor and Nxt for a very simple personal reason. I am economist, social scientist, game designer and conceptional developer. I am not! a “real” technican. Working with Ardor gives me the chance to understand most of the stuff the tech people are doing with it and it enables me to chance things and not crashing the system. Adel is built on the Nxt platform which has numerous features that will be extended to the Adel ecosystem. [Adel] will move to the Ardor platform, once it is deemed suitable. With this foundation of advanced blockchain features, the Adel ecosystem can focus on project development, best-in-class business practices, and an efficient and self-sustaining community. Adel will continue to capitalize on the features of Nxt and Ardor as both evolve. The “Bitcoin-thing: transferring money, is one use case of the blockchain; but Ignis and Ardor bring ALL the Blockchain 2.0 ideas to life. Ideas like running secure proven smart contracts on a scalable decentralized blockchain infrastructure, not with the old energy-wasting PoW algorithm but an energy efficient and green 100% PoS algorithm. You can build decentralized applications with little coding experience on Ignis. Run your own business on Ignis, even create a DAO. Or with Ardor you can get your own child chain, it’s scalable, connected to the network. The impact and transformative nature of the changes to businesses and governments that the Ardor / Nxt / Ignis blockchains bring are unimaginable. To old Nxters, this is not news. But it must be said: on January 1st, 2018, Ignis, Bitswift and Ardor will launch. Almost everything envisioned by the great, early Bitcoin (and Ethereum) blockchain visionaries will be doable and live with Ignis and Ardor. One can only hope that the launch on Jan 1st will spark a disruptive network effect. And oh yes, you can be part of it! Begin by sharing this article. Learn about the utilities of Nxt and Ardor, and apply it to your own life and see which problems you can solve with it. Share it with us. We have all seen the price of NXT and ARDR increase. I see it talked about a lot in forums, slacks, and on social media, and I spend a lot of time giving answers to folks who want to know if they will get IGNIS, ARDR and BITSWIFT if they hold their NXT on either this or that centralized exchange. Short answer: Why would you? I have used NXT for a long time. Now Ignis and Ardor are coming. I know, for a fact, that in a not so distant future I will never have to use a centralized exchange ever again. If YOU don’t know that, you don’t know what you’re investing in. You invest in disruptive tech. Not like Jelurida is against the established system, with its taxes and governments, they will work with them all. Yet, their tech is public. Anyone can use it out of the box or build applications on top of it, change things. Maybe NXT and ARDR exchanges like Bittrex will support the snapshot. Maybe Poloniex will, and AEX, Bitcoin Indonesia, HitBTC, Litebit, all of them – and maybe they won’t! None of these exchanges have made an official announcement about the IGNIS airdrop yet, the date is closing in, but what they all want is to get paid. By Jelurida. So you ask me: Will the airdrop be supported by this or that exchange? No one knows yet. IMHO, centralized exchanges act like they are banks, nowadays. They will list IGNIS, as well as NXT and ARDR, of course, they will, they earn millions in trading fees, but that’s not enough. Profit maximizing middlemen, some of them are, and they do not even provide an indispensable service. We do not really need them. Nxt and Ardor have inbuilt unhackable decentralized exchanges. So, to make sure you get your IGNIS and Bitswift tokens for holding NXT, and your Ardor tokens for holding ARDR, I strongly recommend you to simply claim your own private account on the network. Create it offline, with a web client, or locally, by downloading and running the NRS client from Jelurida. The web client is the fastest and easiest, requiring only a minute or two of simple setup. Be sure to keep your passphrase safe! The jelurida wallet to be 100% sure. We will post it when they make an announcement. Personally, I care about supporting blockchain technologies that I know will accomplish great things. I do not buy and trade shitcoins. And I do not know how many day traders, dolphins, whales, and bots manipulate the price of each coin, including NXT. That’s not my thing. Buying cryptocurrencies seem like a (risky) get-rich scheme to a lot of people today. Even “average Joes” seem to think they know the market and that it’s probably a good time to enter. But a lot get burned. There’s no cancellation of transactions. Do your due diligence. Make your own decisions. And never invest more than you can afford to lose. I want know about Jelurida.com Wallet for NXT ! Is it consisdered paper wallet ? Is private key in jelurida.com is PASSPHRASE ? While transferring NXT from Exchange, is it necessary to put MESSAGE ? >Is it consisdered paper wallet ? >Is private key in jelurida.com is PASSPHRASE ? >While transferring NXT from Exchange, is it necessary to put MESSAGE ? It shouldn’t be, but check with the exchange. So don’t you give IGNIS to those who own NXT in Poloniex? With the snapshot (Dec the 28th), IGNIS was distributed to all Nxt accounts in the blockchain that held any NXT (ratio 1NXT:0.5IGNIS). That means that Poloniex received IGNIS in their account. However, unlike some other exchanges, they didn’t announce they’ll distribute IGNIS among their users, so maybe you should ask Poloniex about this matter. HitBTC announced weeks ago that they’d take part in the Ignis snpashot/airdrop (https://blog.hitbtc.com/statement-on-the-upcoming-btc-hard-forks-and-ignis-airdrop) but, so far (unlike most exchanges) they haven’t distributed the Ignis they received among their users. HitBTC manages their own order book and balance sheets regardless of account balances on the Blockchain, so, unfortunately, only HitBTC knows when they’ll deliver the Ignis they promised. I’d suggest you open a support ticket at HitBTC support center and ask them this question, because they are they only ones that can help you with this problem. Dear team, I got 60pcs. IGNIS from airdrop = correct, but only 0,0246pcs. BITSWIFT. Thought it gets 0,1pc. BITSWIFT for every IGNIS.